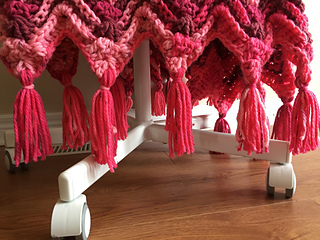 271 meters / 297 yards; weight: 6 - Super Bulky Weight), 10 Cakes (includes 1 Cake for Tassels). 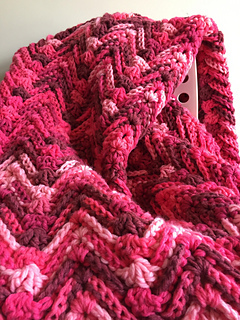 Bpdc – Back Post Double Crochet (Yo, insert hook from in back of your work, from right to left around the post of the stitch indicated, yo, draw through 2 loops, yo draw through 2 loops). 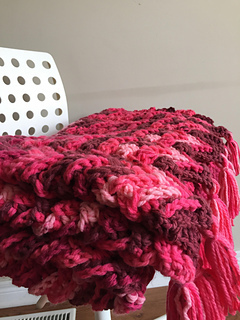 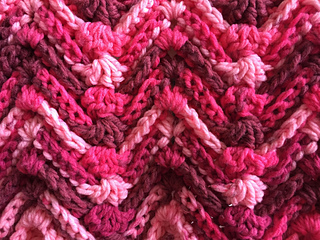 Fpdc – Front Post Double Crochet (Yo, insert hook from in front of your work, from right to left around the post of the stitch indicated, yo, draw through 2 loops, yo draw through 2 loops). 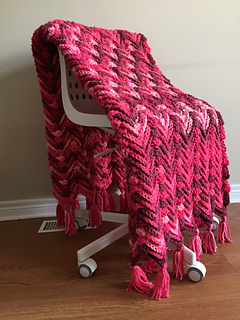 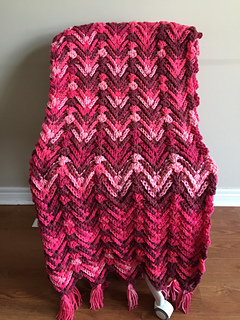 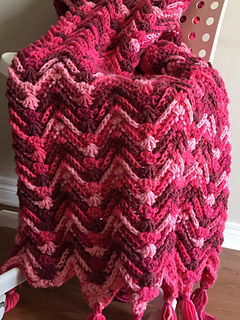 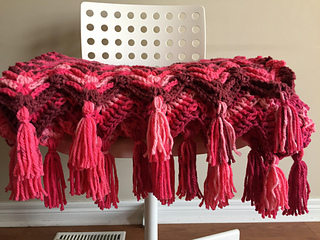 This pattern is available as a free pattern on my ad supported blog at https://richtexturescrochet.com/2018/04/18/waves-of-passi... and also includes a video tutorial.